You are bored with your ordinary ipod ? We can change this. Customize your ipod in any way you like. 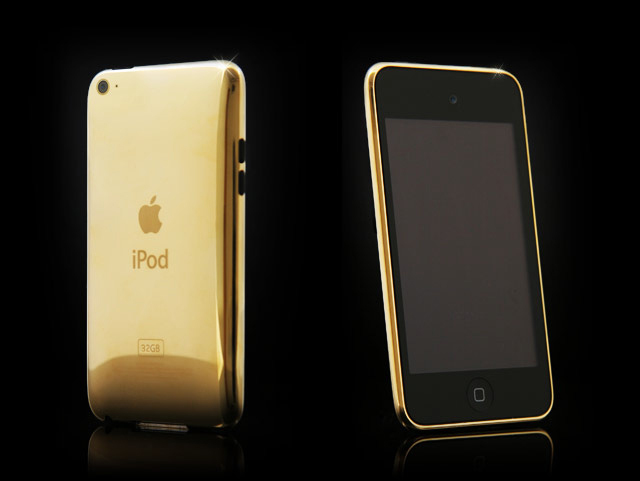 You can have gold iPod in about a week. We can laser engrave your iPod and even encrust with Swarovski crystals. Just choose which SERVICE you like and you will see how your gadget will look like. 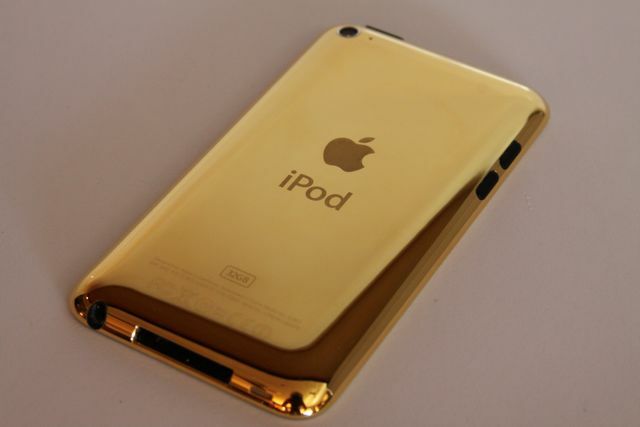 The back and sides of your iPod Touch will be plated in luxurious 24ct. gold, rose gold or platinum. Your iPod will not be opened to be plated and maintains its original 12 month warranty. This service comes with a Full 12 months guarantee on the plating and any crystallisation service. All iPod plating services come with a certificate of authenticity. Purchase a brand new iPod Touch customised in 24ct. gold, 24ct. rose gold, platinum plating and genuine Swarovski crystals. All products come complete with all their original accessories.